In 2010, Alex Davis created Cobra Society and for that, we owe her our undying gratitude. What began as a line of handmade, luxury boots expanded into loafers, handbags, small leather goods and home accents all with Davis’ dedication to quality, craftsmanship, and traditional manufacturing. THAT’S JUST WHAT WE’LL DO, THANKS TO COBRA SOCIETY. What characteristics do you think you need to be a great footwear designer? I wish I were just the footwear designer. I’m also the president of the company. What really hinges upon being a great designer is the ability to be agile: I have to jump back and forth between subjects, projects and time zones efficiently and effectively. Of course, it’s crucial to have the creativity and vision to design a product that people will love and want to wear. But of equal importance is having the patience and dedication to develop the exact designs and find the perfect materials to create a product that is beautiful as it is wearable. Furthermore, I may make my life more difficult as a footwear designer as I am constantly battle the process and margins to try and create the most luxury product possible, without compromise. Sourcing great manufacturers is a huge part of launching a new footwear line, how was your experience? When I was conceptualizing Cobra Society, I knew I wanted to marry the intricate and stunning rugs of Morocco with the highest quality, most comfortable boots (I still wear boots about 360 days a year). I studied in Morocco for several months while in college, which is when I began searching for the types of textiles I wanted. It actually took me around two years to discover the right artisans and rug type, but I eventually chose a weave from the middle Atlas Mountains, which were thick enough to impart the structural, architectural feel I envisioned for the line. I now employ a village of women to weave the rugs for Cobra Society, which are then cut and spliced as fabric in our boots. In regards to my factories, I wanted to go to the zenith of quality shoe construction, which for me was the traditional Goodyear welted production method in Spain. I went there without a single connection, but found one magical human named Javier who decided to take a chance on me…The rest is a happy history! What drew you to Spanish manufacturing? Spain is the pinnacle when it comes to the highest quality boot and shoe construction, and only a very limited about of factories in the world (mainly located in Spain) can do a true Goodyear welt, which is the age-old, rarely used construction method I use for my boots. One of the reasons I love Goodyear welted construction is because it was actually developed from an orthopedic way to make British men’s dress shoes. There’s a layer of cork between the leather upper and leather sole that molds to your foot as your walk that essentially makes each pair custom to your foot. 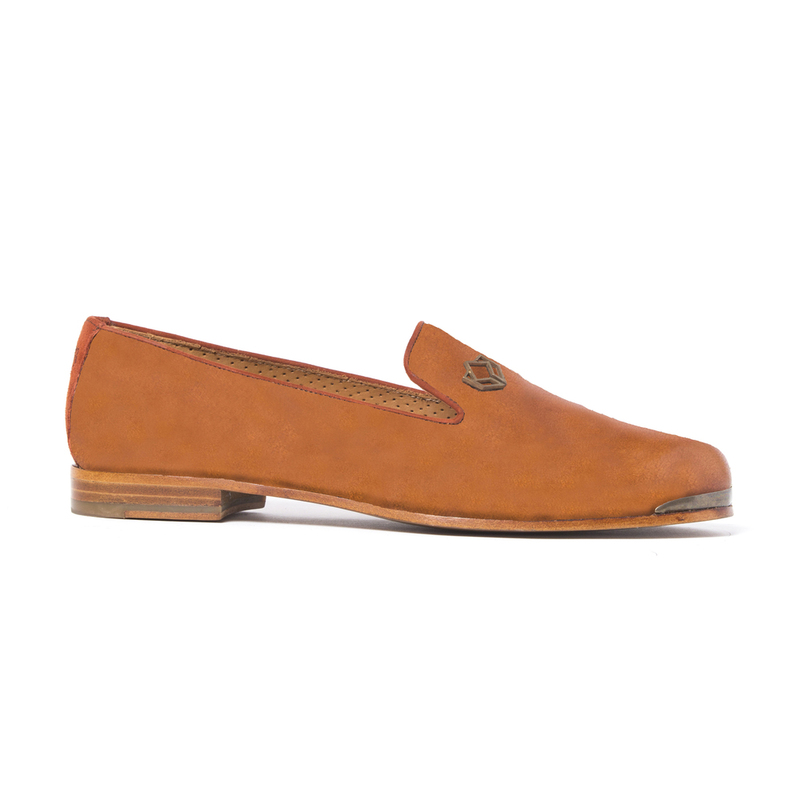 When it comes to style and comfort, can the two co-exist in luxury footwear? I strongly believe that true luxury is the confluence of style, great materials, and comfort –if you are only achieving one or two of those, you’ll never make your customer truly happy. I strive to not only create beautiful pieces, but a forever wearable and timeless product. It can’t just be stylish; it has to be comfortable and versatile, too! What’s the thing that most surprised you when it comes to footwear design and manufacturing? I was so surprised by the amount of time it takes someone to make a boot in my production line. There are over 200 machines and 400 hands making every single Cobra Society boot in Spain alone. Around one thousand hands will touch my product and materials before its global journey concludes with the customer. How do you want a woman to feel in your designs? I want women to feel like she can accomplish anything in my shoes! They provide the extra energy in your day to get through it. They make you want to dress from the feet up in the morning not from the top down. I want Cobra Society to give women around the world a luxury product that they feel good about wearing and that they wear to make them feel good. My goal is always to make a woman feel confident, powerful and 100% comfortable with themselves. 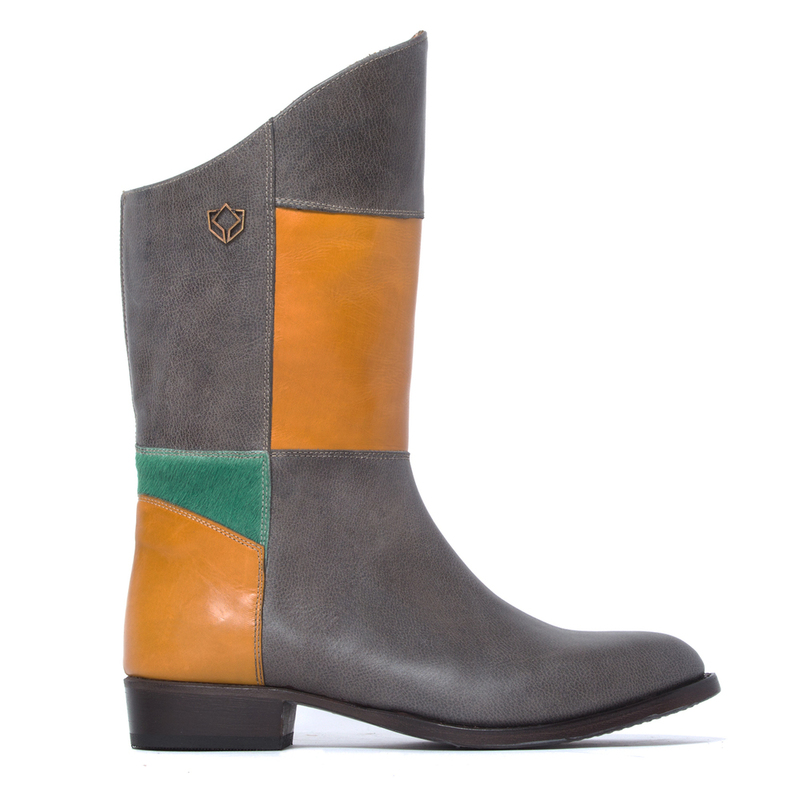 These boots are so special in part because of the women who hand weave every textile, and my customers should feel very proud supporting them.